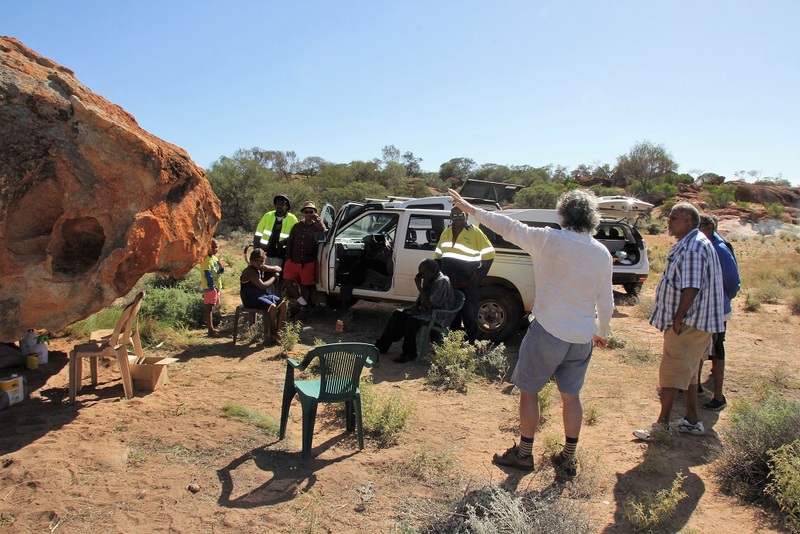 Between April and September 2015 a string of vandalism resulted in permanent damage to the Granites, a significant Aboriginal site, located just 10 kilometres north of Mount Magnet. 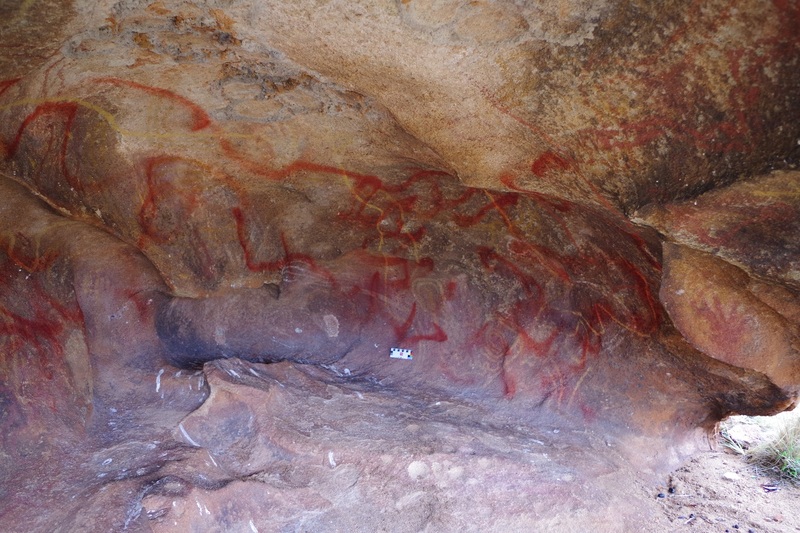 The worst incident occurred inside a rockshelter where rare rock art was graffitied over. This event caused sadness and distress to the Badimia Community. 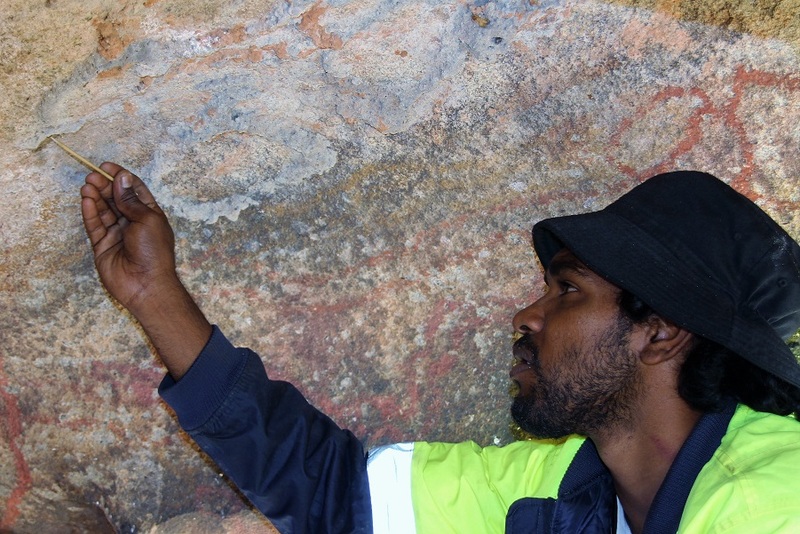 Terra Rosa began working with the Badimia people to find a conservator, grants and permits so that the graffiti could be removed. 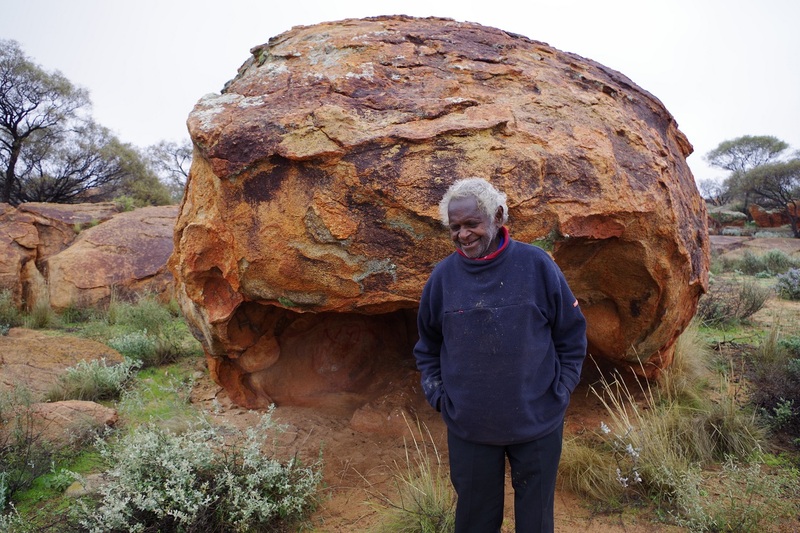 In 2016 Badimia Lands Aboriginal Corporation were the successful recipients of a Department of Aboriginal Affairs (DAA) Preserving Our Sites grant. In March, two years after the graffiti first appeared, Terra Rosa’s Sarah Keiller and Art Care’s Andrew Thorne and Anca Nicolaescu headed up to Mount Magnet to run the graffiti removal project. Over three days Andrew and Anca trained five Badimia people in rock art graffiti removal and conservation techniques out on country. On the first day we began by photographing the rockshelter in high detail and then Andrew and Anca went through the methods that we would use to remove the red spray paint rockshelter. 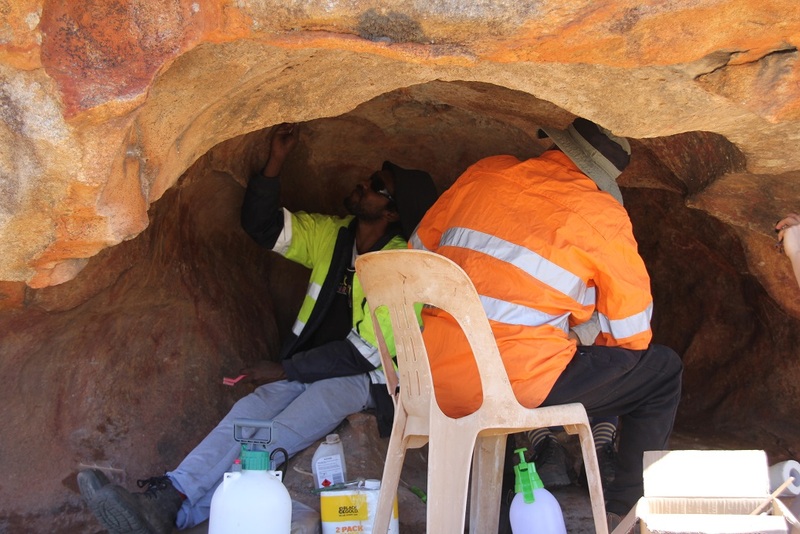 The team spent the day removing the graffiti from areas without rock art underneath. Then on the second day when the rockshelter was dry in the morning we were able to see the places that needed some more work. 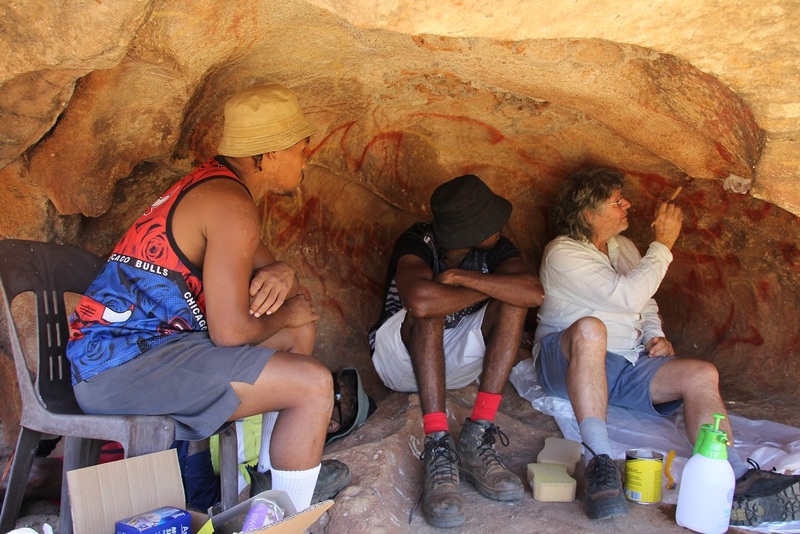 The team then focused on removing the graffiti without affecting the rock art. The hardest part was removing the red paint stain from the yellow ochre. When we arrived on the third day the team assessed the shelter and did some final touch up to remove the last of the graffiti. 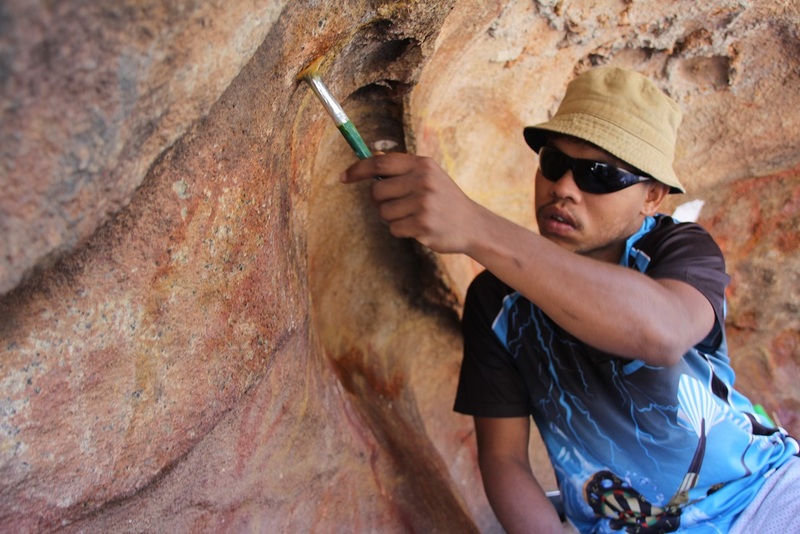 Andrew then taught the team how to remove bird and wasp nests, which were also covering some rock art on the roof and at the back of the rockshelter. 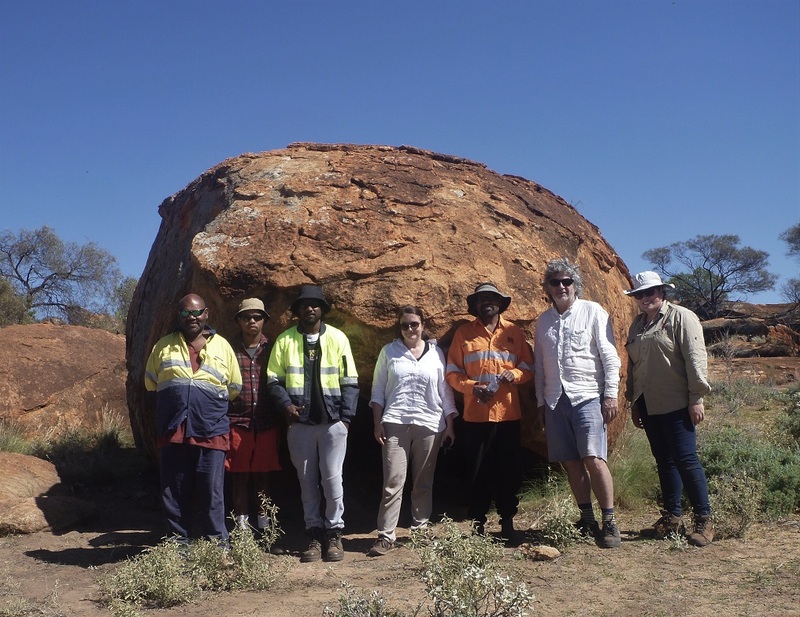 Some members of the Badimia community came out to the Granites to check on our progress and were very happy to see the progress over three days. 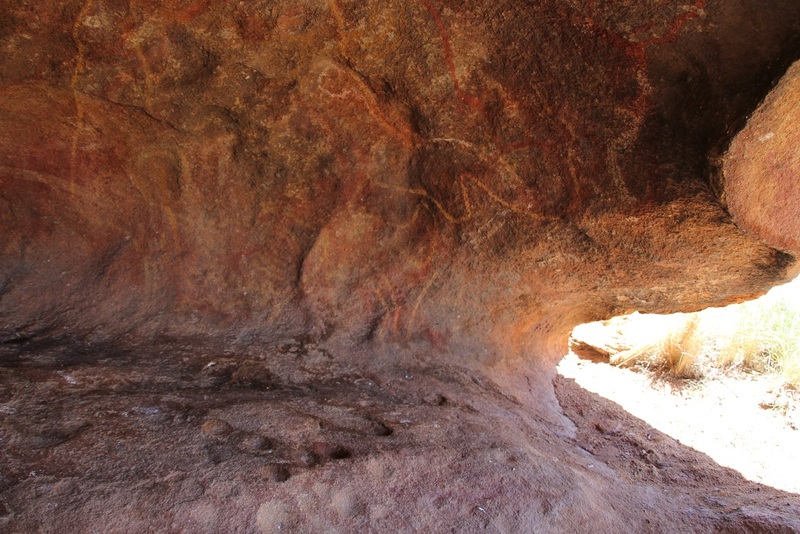 We then photographed the rockshelter in high detail. Thank you to the Badimia Community, Art Care, Heritage Link and the DAA.